The International Quilt Festival Long Beach was last weekend and I worked at the show doing demos at The Quilt Attic. I saw lots of friends and made some new ones. The quilts were great. The vendors were too. It’s a show definitely worth attending. We were located right accross from Make It University, sponsored by Quilt Art Magazine. Thats Pokey in the blue shirt. On Saturday night they had a 60’s contest. and the participants had to make something they could wear or carry out of the provided materials. They also had to sing and dance for additional materials and help. I have to admit we were dancing and singing along a little. And did I mention, there were fabulous prizes involved. Who says quilter’s can’t party? I did squeeze in a couple of the classes at Make It University. I’ll have more about that in my next post. A beautiful dragonfly wings his way through the twilight. The blocks in this Twilt, “Twilight Flight” use the block from my pattern Mandalesque (Pictured below). The blocks feature two 3D triangles in a four patch. When grid quilted the rolled folds form the lovely scallops. 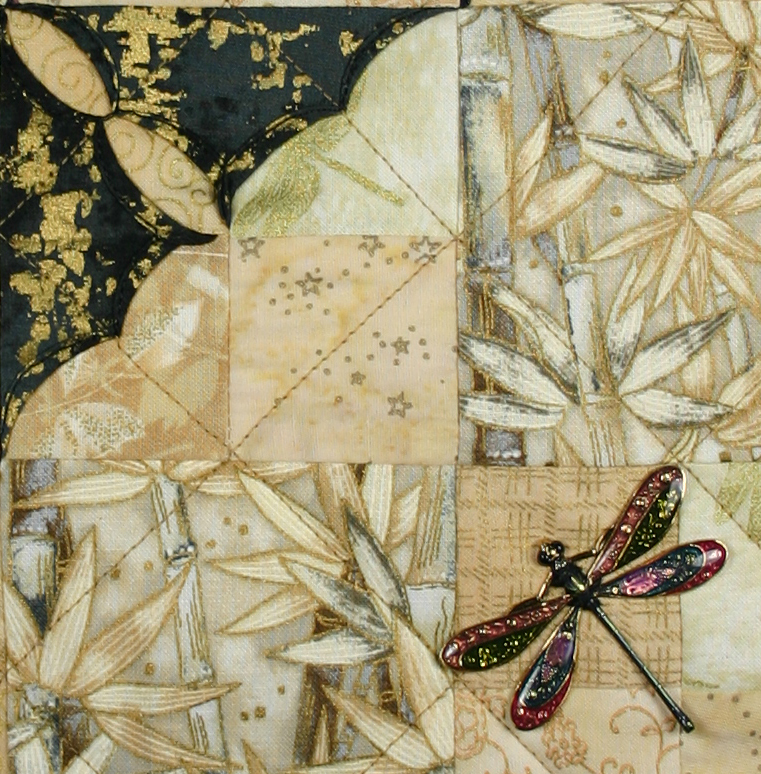 I picked the dragonfly from my bead and button collection. It’s one of Susan Clarke’s pieces. To see more of Susan’s work visit her site at www.susanclarkeoriginals.com. I had a wonderful time at the Southern California Quilt Run. If you missed it I hope you will participate next year. 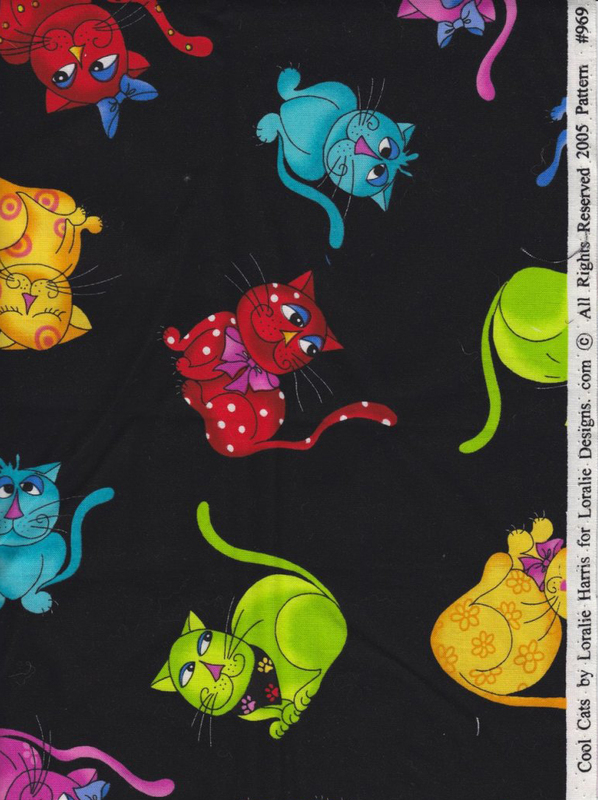 You can see more of my patterns on the pattern page of this blog and on my website pattern page. 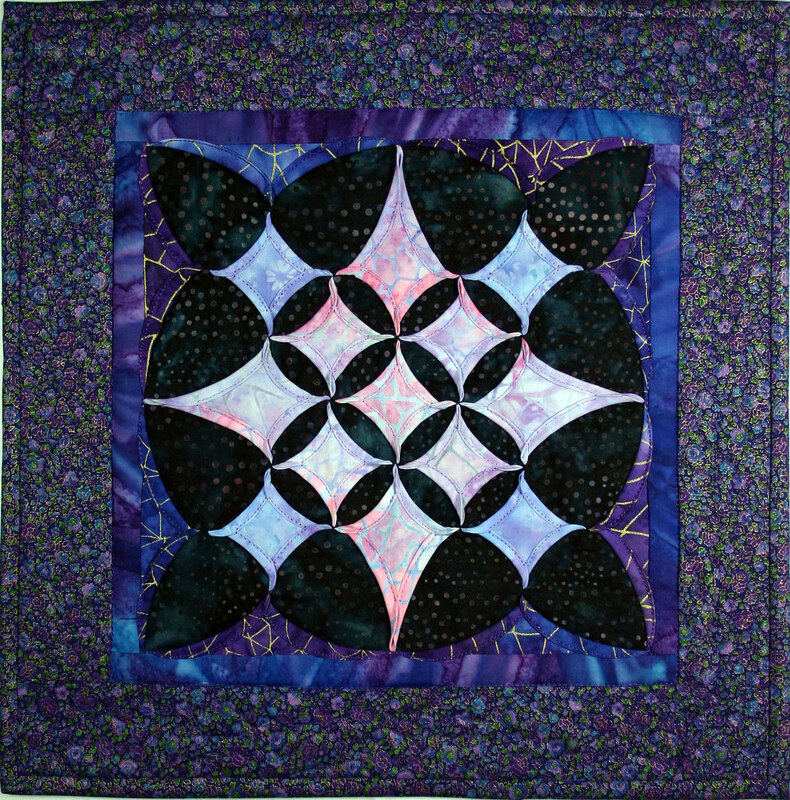 For this Twilt Tuesday I have recreated a block from my second book, “Machine Stitched Cathedral Stars” in a much smaller version, “Cathedral Star Celebration”. The background pieces are 1″ and 2″ cut squares as opposed to 2″ and 4″ cut squares. The fabrics are batiks except for the outer border. Last week end I worked the Southern California Quilt Run. It continues this next weekend, Thursday, Friday, Saturday and Sunday. If you are in Southern California try not to miss it. 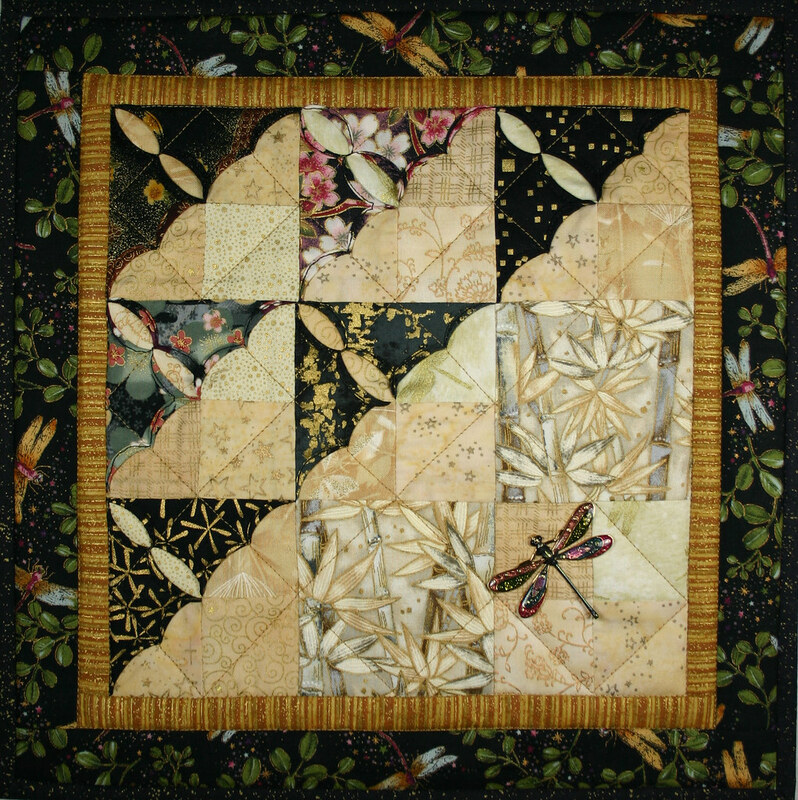 I will be doing demos at Georgia’s Quilting Obsession so if you go, stop by and say Hi! It seemed appropriate that I should do a Twilt celebrating our country’s birthday. 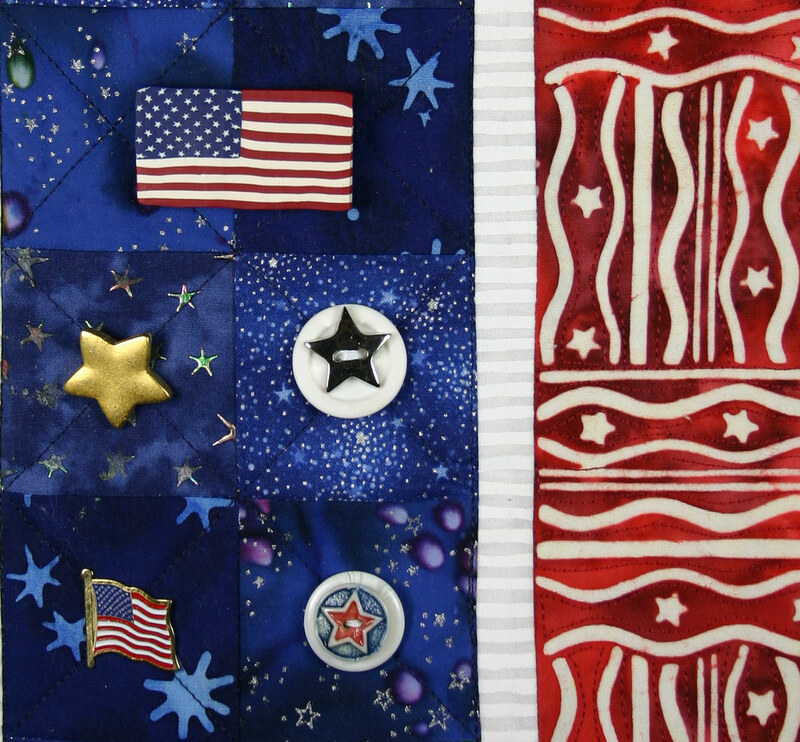 I took a very simple approach to “Star Spangled 4th” and choose lots of blue fabric with stars for the central panel. 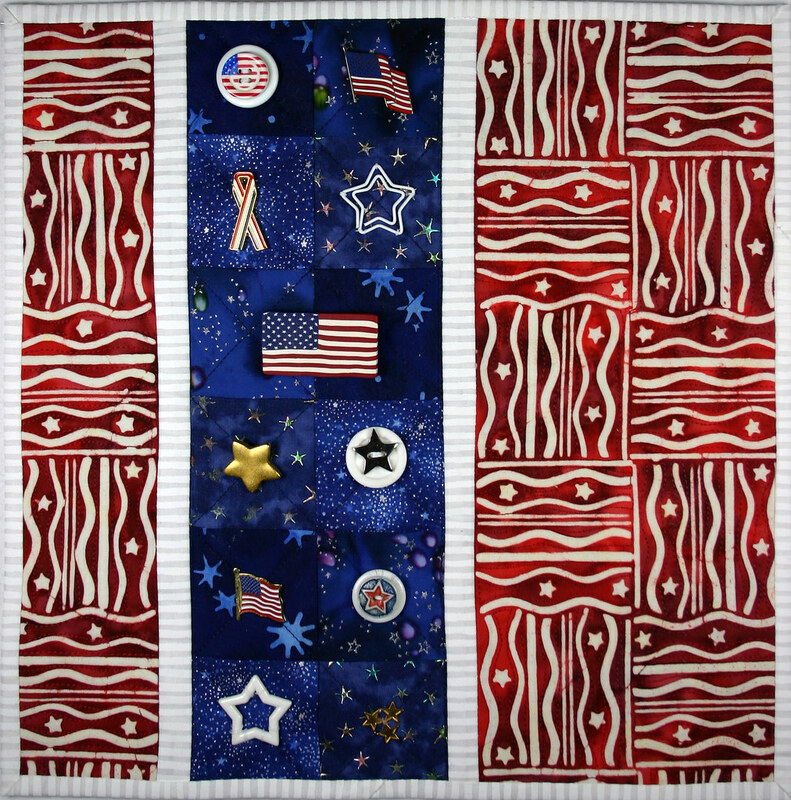 The red star and stripe batik complemented the blues. For contrast I added the white stripe. I quilted an X pattern across each blue square and used a red straight stitch to quilt around the white patterns in the batik. 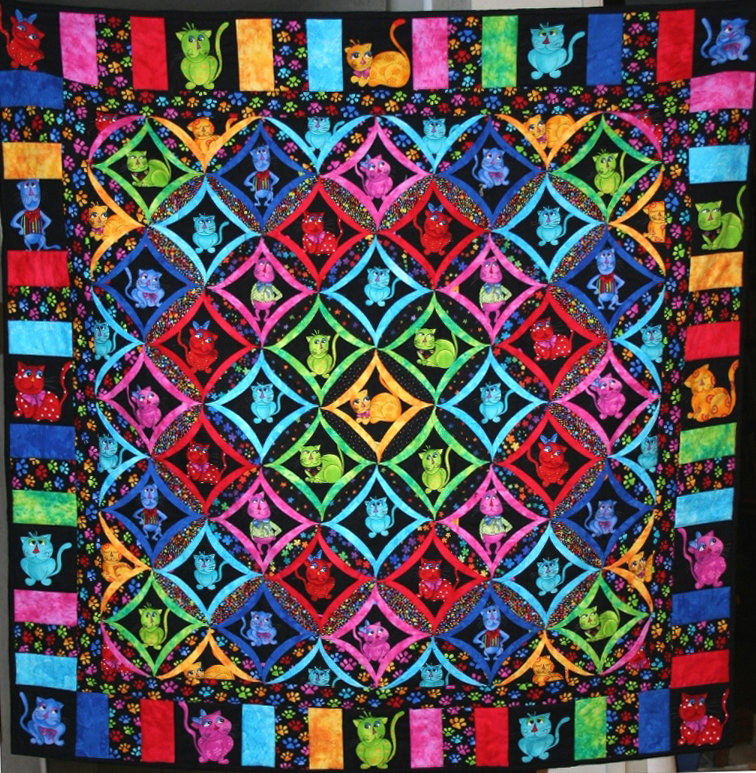 Then came the fun of searching through my buttons, pins and charms to find the embellishments that I sewed into the center of each blue square. My favorite find was the Polymer Clay Flag pin. I hope that you and your family had a fabulous and safe holiday weekend! In December of 1999 my first book “Machine Stitched Cathedral Windows” was published. Every once in a while I get pictures of a quilt made using the book. 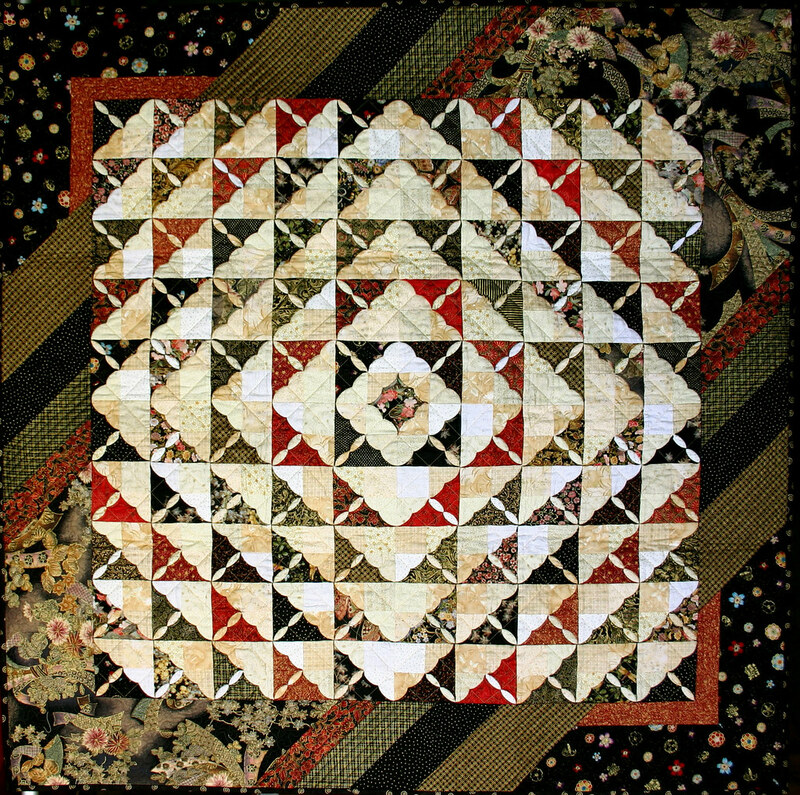 This is a wonderful example that uses my technique with original design choices for the color placement and borders to make a Cathedral Window Quilt. What a great job, Lori!